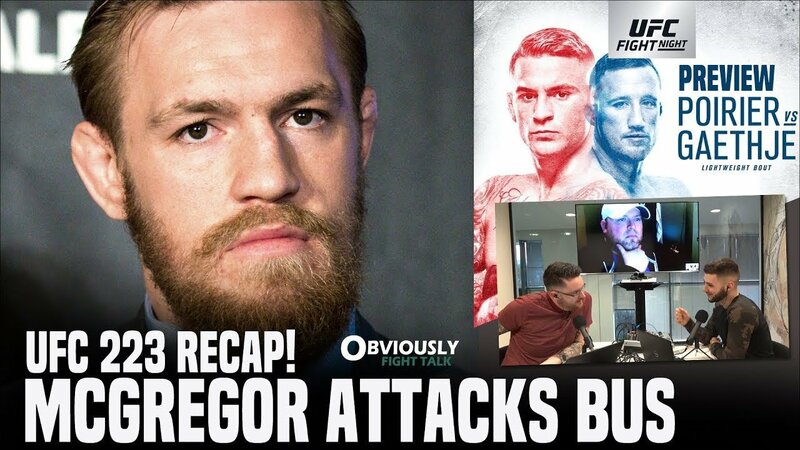 We look back at the Conor McGregor bus incident before UFC 223 and give our reaction to what happened and what might happen next. We also recap UFC 223 with Brendan Dorman and discuss Khabib Nurmagomedov’s contentious performance in the main event, along with Rose Namajunas’ victory over Joanna Jedrzejczyk. Then preview UFC on FOX 29 featuring a potential fight of the year contender in Dustin Poirier vs. Justin Gaethje. We then answer fan-submissed questions about the McGregor situation, Zabit Magomedsharipov’s potential and more. Finally, we look back at GSP vs. Serra 1 in ‘This Week in MMA History.